By utilizing high-strength magnesium, Sanitaire was able to incorporate components that are 75% lighter than steel and 33% lighter than aluminum, all with better anti-corrosion and mechanical properties. The all new Sanitaire Dua-Lite is one impressive light weight vacuum. 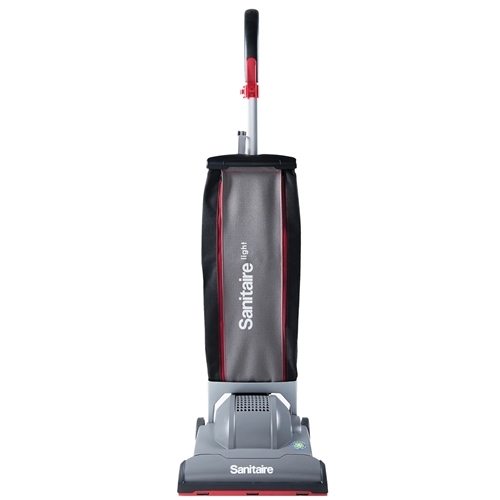 Stop spending your valuable money on over priced light weight vacuums like Oreck and take a look at the Brand New Sanitaire DuraLite. Dust Capacity 6.6 dry qts.